LAHORE: In the Pakistan Institute of Legislative Development & Transparency (PILDAT) assessment on Quality of General Election 2018, the overall score of quality of General Election 2018 stands at 51.79 percent which has dropped nearly five percentage points from the quality of General Election 2013 assessed to be at 56.76 percent. PILDAT has proposed investigation into those aspects of the election about which a number of questions have been raised by various political parties and candidates. The quality of General Election 2018 has been assessed on four broad categories including Pre-Poll, Polling, Counting of votes, Compilation & Transmission of Results and Post-Poll phase. 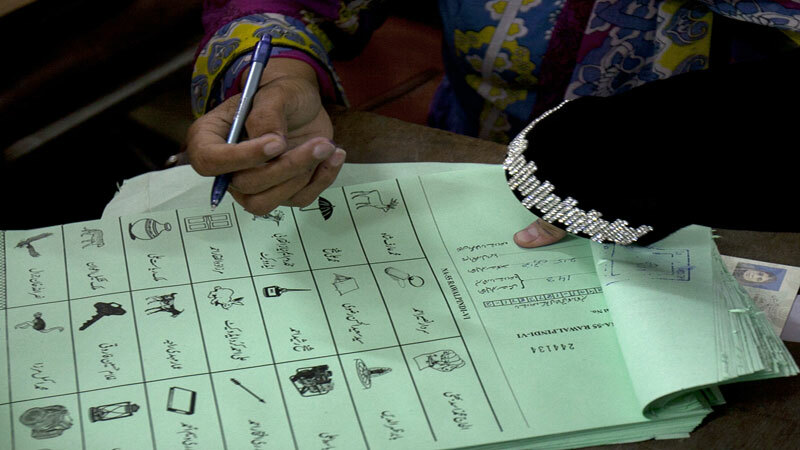 According to results, Pre-Poll Phase has received an overall 50 percent score, Polling Day Operations and arrangements for voting which have received the highest score of 64 percent counting. While the third category, Result Compilation & Transmission of Results which have received the lowest score of 40 percent in the assessment and the Post-Poll phase which has received the score of 50 percent. The PILDAT Assessment of Quality of General Election 2018 is a continuation of earlier similar assessments that have been carried out by the think tank after General Elections of 2002, 2008 and 2013. Similar assessments in the past assigned the overall score of 37.30 percent to the quality of General Election 2002 and 40 percent to the quality of General Election 2008. The scores improved for quality of General Election 2013 at 56.76 percent but have dropped again to 51.79 percent for the quality of General Election 2018. This drop in quality is mainly due to Poor Quality of Pre-poll phase which is largely attributable to the factors lying outside the direct remit of the Election Commission of Pakistan. While the quality of Pre-Poll Phase has received an overall score of 50 percent, it has declined nearly 12 percentage points in comparison to the quality of pre-poll phase of GE 2013 which had received a score of 62.35 percent. The PILDAT assessment shows improved polling-day operations in GE 2018 compared to GE 2013 in terms of training and impartiality of polling staff and overall management of the polling arrangements for citizens. It must be noted that in terms of polling day management, a steady improvement is recorded since 2002 and 2008 when the process received a score of 40 percent respectively, improving to 44 percent in 2013 and now to 64 percent in 2018. Counting, Result Compilation & Transmission of Results have received the lowest score of 40 percent in the assessment. It must be noted that this was not just the lowest score for any single aspect of the quality of General Election 2018 but it was also the lowest score in comparison to the processes adopted in 2002, 2008 and 2013. The Post-Poll Phase has also seen declining score of 50 percent compared to the score assigned to the similar process after the GE 2013 which stood at 68 percent. Again, the assessment of the quality of this process shows that while the lowest score assigned to this process was 40 percent after General Election of 2002. In GE 2018, since no party has a clear majority in the National Assembly and the Provincial Assembly of the Punjab, Pakistan Tehreek-i-Insaf and, to a lesser degree, Pakistan Muslim League-Nawaz are making intensive efforts to win support of independent legislators and forming alliances with other parties. The PILDAT Score Card on Assessment of Quality of General Election 2018 is based on combined analysis and scoring of eminent persons who are members of PILDAT Dialogue Groups on Electoral Processes, Quality of Democracy and Civil-Military Relations and met on August 1, 2018 in Lahore. These included Inter-Services Public Relations former director general Major General (r) Athar Abbas, former ambassador Air Vice Marshal (r) Shahzad Chaudhry, Gallup Pakistan Chairman Dr Ijaz Shafi Gilani, former Sindh governor Lieutenant General (r) Moinuddin Haider, former Punjab governor Shahid Hamid, Supreme Court of Pakistan Senior Advocate Dr Parvez Hassan, former senator Javed Jabbar, Wazir Jogezai, Rustam Shah Mohmand, Arif Nizami, Tasneem Noorani, Ghazi Salahuddin, Mujibur Rehman Shami, alongside PILDAT President and Joint Director Ahmed Bilal Mehboob and Aasiya Riaz respectively.